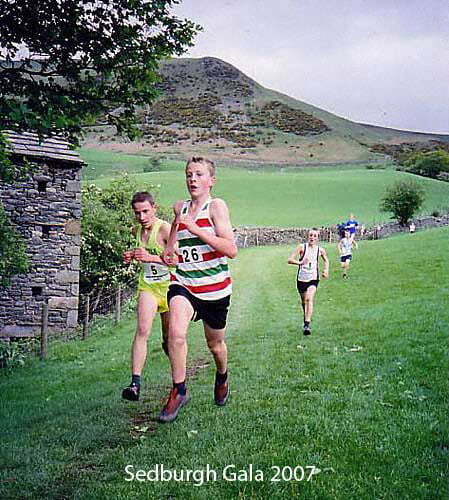 In these days of widespread child obesity and the banning of competitive sport by some schools, not to mention such distractions as television and computers, it is heartening to see the healthy turn-outs at junior fell races and particularly to witness the enthusiasm and determination on the faces of the youngest competitors. 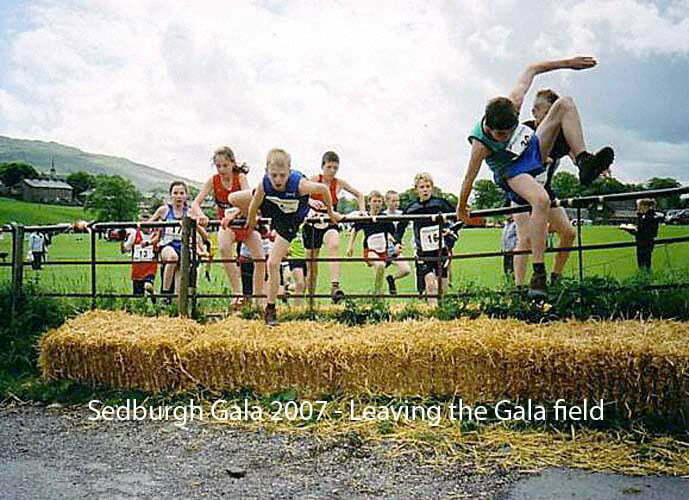 Yet this branch of fell racing is by no means a modern development but harks back to the early days of thesport. 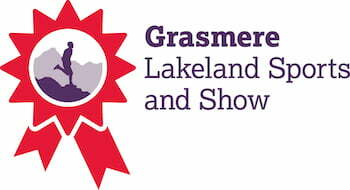 Seven times Grasmere winner Ernest Dalzell was fourteen when he began pitting his speed and agility against his brothers and mates in informal contests, while triple winner George Woolcock made his debut at the 1914 Outgate Sports, near Hawkshead, aged eleven. 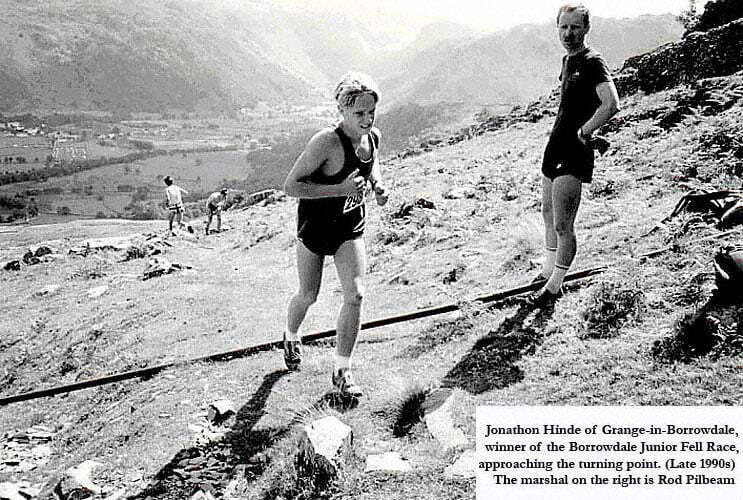 1920 saw the introduction of a junior race at Grasmere , initially for U16s, though after WW2 the age limit was raised to U17, with U14, U12 and U9 categories being introduced over the past 25 years. Ronnie Gilpin, the outstanding fell runner of the 1930s with five Grasmere victories to his credit, first competed at his local Braithwaite Peace Celebration Sports in 1919 as a 10-year-old sprinter, wrestler and high jumper, while his contemporary, Joe Conkey, became the first runner to win both the junior and senior guides race at Grasmere (1930, '35 and '38). Tommy Sedgwick first emerged onto the junior scene at the 1964 Sedbergh Gala, aged fourteen, and immediately demonstrated the daring descent style which soon became his trademark, turning in 6 th position on Winder to outpace all his rivals coming down. Tommy's daughters, Judith and Helen, have been successful both as juniors and seniors, with Helen now competing an amateur events. 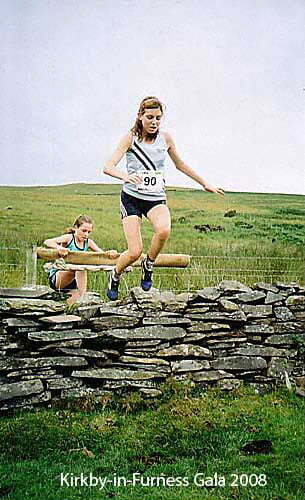 For well over twenty years now, there have been highly-competitive annual championships operated by both the British Open Fell Runners Association (founded 1985) for junior guides racers and the Fell Runners Association (founded 1970) for junior club runners, with some youngsters having competed in both. 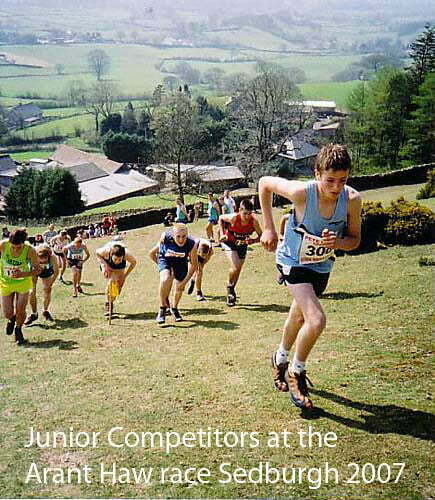 The Northern Sports Promoters Association (founded 1980), which was the forerunner of BOFRA, had also run a junior championship which had actually started around 1969/70, while the FRA additionally offers international competition in both the World and European Mountain Running Trophy events plus others like the Black Forest Teenager Games in Germany. Several athletes who learned their trade in junior guides races went on to become FRA senior champions, including Dave Cannon (1972), Kenny Stuart (1983/84/85) and Gavin Bland (1999). 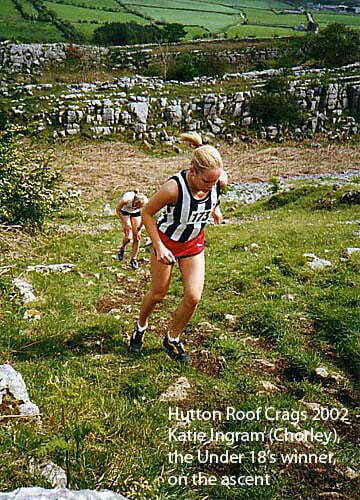 Perhaps the most successful girl to have emerged from the BOFRA ranks has been Victoria Wilkinson from Hebden in the Yorkshire Dales, a multiple junior champion under both codes who is now a highly-regarded international mountain runner. There is an old tradition of retired or still active guides racers utilising their experience to train younger athletes, as did John Greenop with both Dalzell and Jim Fleming, for instance. There have even been training “schools”, not only in the Lake District but further afield, such as those run by Wilson Huck and, later, Raymond Knowles at Scotforth, near Lancaster , and by Billy Pickering near Skipton. 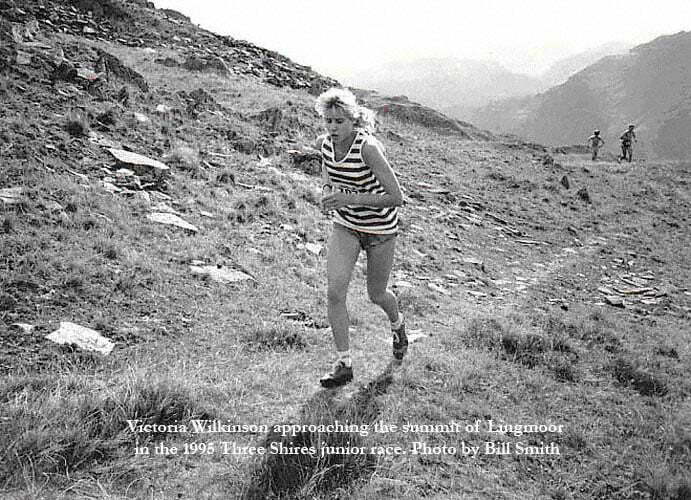 One graduate of the latter's is Roger Ingham, whose own “school” has produced numerous champions and international athletes, including Mick Hawkins and Mary Wilkinson (no relation to Victoria), while during the 1980s, '50/60s star Reg Harrison coached a group of youngsters known as the Furness Fell Runners. 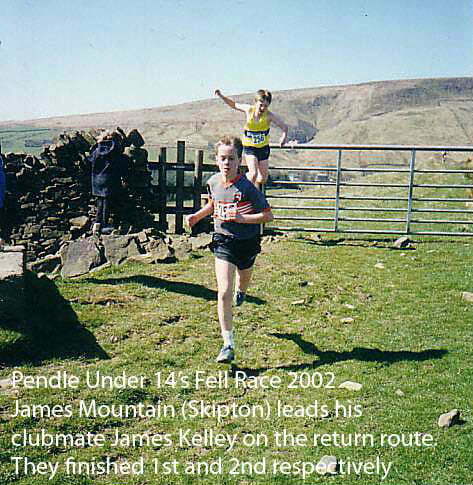 More recently, Billy Proctor of Helm Hill Runners has been putting his club's younger athletes through their paces on the fell above Oxenholme from which the club takes its name. The FRA committee now includes a Junior Co-ordinator whose post has been filled by such runners as Dave Richardson (Kendal/Helm Hill), Ian Smith (Horwich) and Dave and Eileen Woodhead from Keighley, who also organise an annual Yorkshire championship plus several highly-popular races on their local moors. 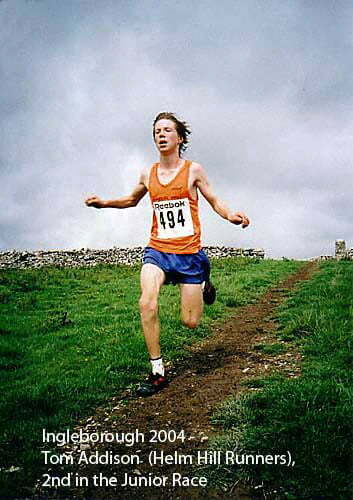 With so many aspiring young athletes now contesting junior events and being guided by such people as those mentioned above, the future of fell racing certainly looks a bright one.